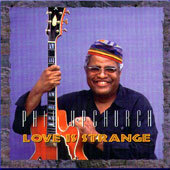 40 years in the music business since the age of 12, Phil has recorded 23 albums. As a studio musician since 1958, Phil has recorded over 0ne thousand albums with Recording Artist of every genre from Julio Iglesias to Micheal Jackson. He has also performed on movie soundtracks and commercials to numerous to count. 1986 ?PHIL UPCHURCH PRESENTS THE L.A. JAZZ QUINTETTE?